Earl of East and Kana London are pleased to launch the first of a series of collaborative workshops hosted within their new building, Bonds Hackney. 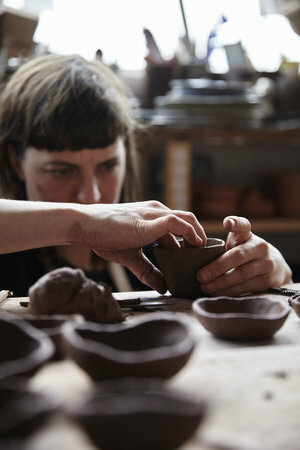 You will create your own unique ceramic vessels & scent before hand pouring your personal scented soy candle. Session 1 Create a unique ceramic vessels with the skilful help of the Kana London team. Session 2 Return to the Kana London studio where your pieces form 1st session will be fired and ready for your glazing session. You will explore the world of magic behind the glazes, while choosing and glazing your vessle to match your design or scent you have created. 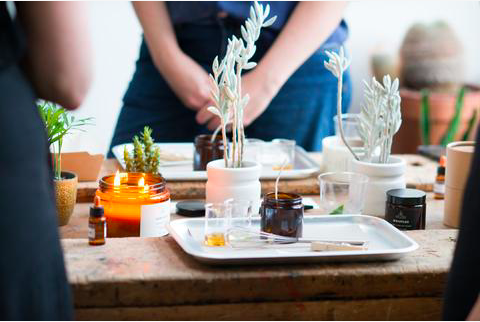 explore the art of fragrance before developing your own candle scent and learn how to blend and pour your scented soy candle.